Maybe your home has faulty wiring that causes the lights in your home to dim or flicker. 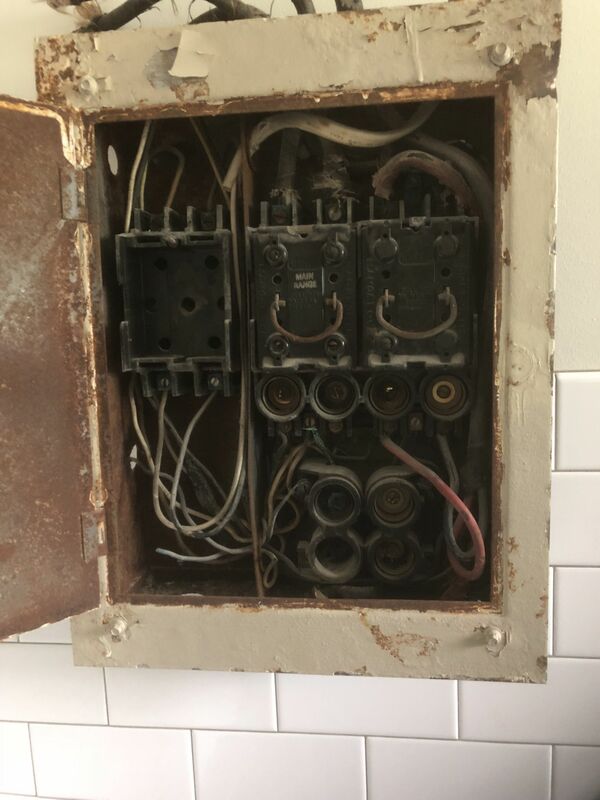 Or you have a historic home that still relies on an old fuse box. Several reasons exist that may require you to upgrade your electrical panel in your home. Make sure to hire a reliable, certified and affordable electrician for this home improvement project. Home electrical systems can be complicated and, not to mention, dangerous. Skip your DIY inclination and hire a pro to upgrade your electrical panel. They have the expertise to deal safely with all your electricity concerns. Depending on the condition and extent of the project, with electrical panel changeouts you can expect to pay anywhere between $1,300 and $3,000. This type of work typically takes eight to 10 hours to complete. Learn the reasons for calling a certified electrician for this home improvement project, which can make your home less likely to be at risk for fires and may even increase your home’s resale value. Home electrical systems with wiring issues rank as the third leading cause of fires. In fact, overall home electrical fires account for an estimated 51,000 fires each year in the United States, roughly 500 deaths, about 1,400 injuries, and total $1.3 billion in property damage, reports the Electrical Safety Foundation International, or ESFI. That new man cave, Florida room or other major remodeling project may overload your home’s electrical system. While your new KitchenAid stand mixer or toaster oven should be fine to plug in, you may need to upgrade to accommodate a new hot tub, air conditioner, refrigerator, or other major energy-consuming appliances. Standard electric panels put out 100, 150, 200 or 400 amps of power. In fact, anything less than 100 amps violates electrical code regulations. If your power struggles or fails to run these additions, your circuit breakers will trip. Be wary when running too many things on one circuit of electricity. Some historic homes may still rely on an outdated fuse box. To power that big screen TV or latest top-of-the-line computer, you likely will need to upgrade to a circuit breaker box. Because fuses pose a fire hazard, many insurance companies today refuse to insure homes that run on them. The average age of homes in this country has reached 44 years, while circuit breaker panels have a life span of 25 to 40 years. Fuses and circuit breakers perform the same function, disrupting or breaking electrical currents during a power overload. However, fuses work once. They melt when they detect a current running too high. Then, they must be replaced. Meanwhile, a simple flip of a switch resets circuit breakers. A series of circuit breakers control all the electrical outlets in your home. The electrical panel divides up all the electrical power flowing into your home on different circuits. Each circuit receives protection from a circuit breaker when it senses an electrical overload. Today, federal regulations regarding electrical boxes require them to be placed outside of the home. That’s because firefighters can turn off the home’s electricity safely and quickly in case of a blaze. But houses built more than 12 to 15 years ago typically include indoor boxes. To increase the safety of your home and your family, you may want to upgrade your electrical panel by moving it outdoors. When you need your home’s electrical system inspected or need to upgrade your electrical panel, call our experts at Henderson Electric of NWF! Whether your home experiences electrical issues, you plan to buy or sell a home, or simply want to ensure the safety of your family, Henderson Electric has you covered.